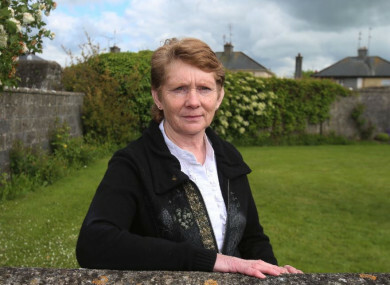 CATHERINE CORLESS HAS said she is disappointed that Pope Francis has not publicly mentioned the Tuam mother and baby home, at which 796 children are known to have died, during his visit to Ireland. Her work as an amateur historian led to the discovery of human remains at the site in Co Galway. In March 2017 the Commission into Mother and Baby Homes confirmed that a “significant” number of human remains were discovered at the site of the former Bon Secours home. Scientific analysis put the age of death between 35 foetal weeks and two to three years. Speaking to RTÉ Radio 1′s This Week Corless said Pope Francis’ visit to Knock Shrine earlier today provided the perfect opportunity to mention the home. Children’s Minister Katherine Zappone is understood to have raised the Tuam home with the pope yesterday. A vigil is set to take place at the site this afternoon. We will walk from the square in Tuam up to the mother and baby home site where all those little babies and children are buried unnamed, unclaimed, and just nobody seems to want to know about them. “We feel our stand is with the home babies who are completely forgotten about,” Corless said. She added that candles will be lit and the name, age and year of death of each child will be read aloud. “It’s just a little memorial for the children in the middle of all this, the pope’s visit and all the hundreds, thousands, that are going to see him, we feel that those babies must be recognised, must be exhumed and taken out of the sewage area that they’re in at the moment,” she said. Pope Francis met with abuse survivors and mother and baby home survivors in Dublin yesterday evening. He is said to have made a commitment to those present that action will be taken. In relation to clerical abuse, he begged for “forgiveness for these sins and for the scandal and betrayal felt by so many others in God’s family” while delivering a speech at Knock Shrine. The pontiff also addressed the issue of clerical abuse in his keynote speech at Dublin Castle yesterday, commenting that be could not fail to “acknowledge” the scandal. However, abuse survivors have pointed out he did not apologise to them publicly or mention the overall responsibility of the Church in relation to this abuse. Corless had turned down an invite to attend the Dublin Castle event. She said not apologising publicly was “a missed opportunity”. Referring to the pope asking for prayers to help the healing process, Corless said: “The survivors at this stage don’t particularly need prayers, they need action. Email “Corless 'disappointed' pope didn't mention Tuam, says abuse survivors need more than prayers”. Feedback on “Corless 'disappointed' pope didn't mention Tuam, says abuse survivors need more than prayers”.